Hi all, pretty new to fpv, been flying more los in the past. I’ve picked up a mobula7 as well as Eachine ev800d goggles. The setup seemed pretty easy and straight forward but one thing I’m noticing is that the range seems to be pretty limited before I get a lot of static in the goggles. The drone will be a couple hundred feet away from me and I’ll get enough static that I’ll lose control of the quad. Is that just how the range is on these things or are there some upgrades I can do on either the vtx or antenna that would give better results? Yes, there is some kind of an issue as the Mobula7 range is around 700 metres in good conditions. If you haven't changed anything, I'd look at your goggles being the issue. 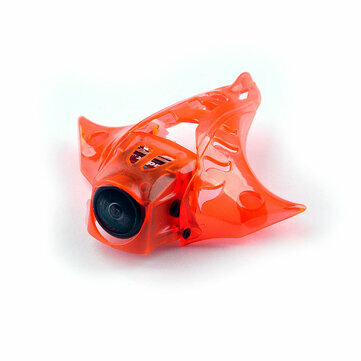 Did you do autoscan on the goggles to pick up the channel on your vtx? If so, set the channel on your goggles manually according to the channel your vtx is set to. Yeah the static sets in way before 700 meters for me. And it can be bad enough that I’m disoriented enough I need to bring the quad down. I’ll make sure the vtx antenna isn’t dislodged somehow from a previous crash. I’ll try the manual setting as well. Aside from this, any recommendations on updates to equipment that might improve things? 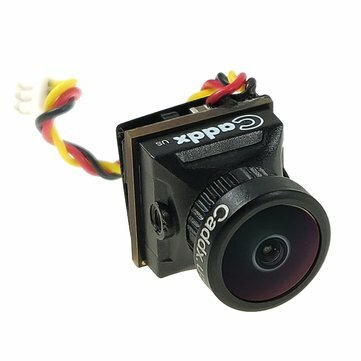 Can the vtx be upgraded on mobula7? I have the 800D as well, and the antennas it came with are garbage. Switching to a better antenna set made a huge difference to me. Basically put, just about ANY patch and Omni set you get will be better than what it came with. You know what, I have an Aomway patch that was given to me, and I'm running an Omni that I pulled off my Batman220. Pretty much any omni you can get would be better than the one it came with. This is an example of a pair, but it's sold out. I use the AXII set on my Vipers, definitely better than stock. The best performing antennas on the market -- all in one cost-effective bundle. And just as a side-note, the Mob7 stock camera image isn't the great even with good signal.